Our products are GMO free and Soy free. What is the active ingredient in MiraCell Skin Relief & Support? No one ingredient is attributed to the success of MiraCell. Instead, every ingredient is part of MiraCell’s success because each ingredient fills specific skin needs in maintaining skin health. Why are MiraCell products such a great value? For the quality, MiraCell is a great buy because MiraCell ingredients are 100% natural. Natural oils are more expensive because they are not easily accessible. Most plants do not naturally produce or secret oil. To obtain this oil, a great amount of plant materials must be collected. To yield even a modest amount of oil, the oil can be collected during a certain moment of the plant’s yearly cycle. Consequently, the amount necessary to extract the oil increases the cost. Less expensive products may claim to be “just like MiraCell”, but they are not, because they combine a little bit of natural ingredients with a lot of useless fillers, making it less effective in reviving your skin. Because MiraCell is concentrated and without fillers, you will use less, thus making it very cost effective. Help! My Dog (cat etc.) Ate my Skin Relief & Support! What should I do? According to the MSDS, no action is required for ingestion of reasonable amounts. While you may induce vomiting, it isn’t necessary in most cases. If your pet ate 4 or more bottles, then you may want to consider it. How often should I use Skin relief & Support? We recommend applying Skin Relief & Support once in the morning before applying any creams or makeup and again at night after cleansing. How many drops should I be using when applying Skin Relief & Support? Skin Relief & Support is a highly concentrated product with no fillers. Simply drop 1-2 drops on your skin and smooth over the desired area. For your face, place one drop on each cheek, forehead and chin, and spread over the surface of your face. Then spread 1-2 drops over your neck. Over time you may notice the skin will need less product. At which point you can begin to apply less. How long will MiraCell Skin Relief & Support oil take to work? It depends! Most results are immediate-especially for bites and burns. For more stubborn long-term problems, we recommend you use MiraCell for 2-4 weeks to see results. If you have regularly using products on your skin that contain mineral oil (this included in baby oil, Vaseline, baby wash, liquid soap, and baby lotions) or glycerin, your skin will go through a “transition” period and will require a longer application period for results. MiraCell will provide quick results on bites, stings, sunburns rashes, cuts, itchy ears, chapped lips and dry skin. Moderately quick results on sores, dry cracking skin, ear aches and recent surgery scars, acne, keloid, diaper rash and burns. Long term results on psoriasis, eczema, rosacea, old scars and shingle. 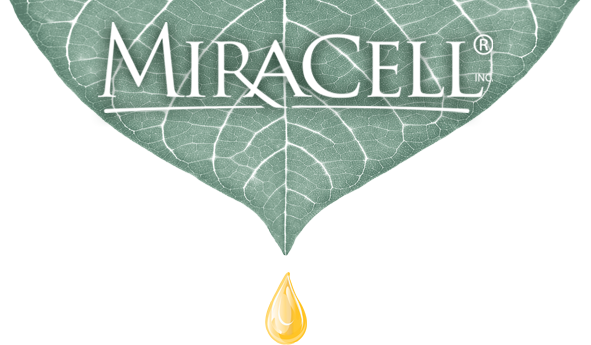 How can I incorporate MiraCell’s Skin Relief & Support oil into my cosmetic routine? For best results apply MiraCell Skin Relief & Support before using ANY other products. You may substitute MiraCell for your moisturizer and mascara remover. MiraCell will moisturize you skin and smooth our wrinkles. Use MiraCell before applying your foundation, to create a more even and balanced tone. First apply a light application of MiraCell on a clean face, and then apply makeup as usual. To remove mascara, apply a small amount of MiraCell on eye to loosen mascara. Wipe off with a warm wet cloth. Reapply MiraCell to moisturize the delicate tissues around the eyes. What makes MiraCell different from other skin products? Skin Relief & Support can be used anywhere on your body, head to toe for over 37+ uses. Just ONE drop, even less than 1 drop is effective on most skin needs and problems because it is 100% concentrated with highest quality botanical extracts-no fillers, no cheap ingredients. Highly specialized blend-formulated specifically for skin. Every ingredient in the MiraCell formula fills a specific role in skin renewal. Proprietary. MiraCell’s formula legally belongs to our company. Other may claim to, but cannot match this amazing blend. Why does my skin feel greasy after I use MiraCell’s Skin Relief & Support? If your skin feels greasy after you apply MiraCell SRS, you are using too much. Because Skin Relief & Support is 100% concentrated you only need 1-2 drops per (small) application, which should be absorbed into the skin in 20 seconds to 2 minutes. MiraCell Skin Relief and Support concentration makes it an unusual one-of-a-kind product. Can I use MiraCell Skin Relief & Support under sunscreen? YES! Apply MiraCell Skin Relief & Support and wait 5-10 minutes for it to absorb into your skin. Then apply sunscreen as directed. I submitted a great comment, why was it deleted? According to the law, a drug is anything that affects the ‘structure or function’ of the body. The FDA is very strict regarding any language that implies something is a drug. They have even held that if something is ‘soothing’ is a drug. (Does that include ‘soothing’ conversation, who knows?) if you think about it, anything you eat or anything you put on your skin that has any positive (or negative) effect, is, by definition, a “drug” as defined by Congress. As far as endorsement goes simply stating that something has a positive effect is considered evidence that the company is promoting a drug. Even saying something like “almonds are heart healthy” has resulted in warning letters from the FDA because it’s a “drug claim.” This has caused significant delay in promotion of science-based skin care in the USA. For example, the USA is currently more than 30 years behind in sunscreen technology because of these kinds of laws. (The FDA has admitted that science is growing exponential while the legal framework is growing linearly. Meaning they cannot keep up with the science.) Nevertheless, we are committed to website, regardless of the customer’s personal experience with the product. Cosmetics on the other hand, may “improve the appearance” of the skin, may “moisturize” and may “beautify.” This means a company must choose between spending millions of dollars on “drug” testing or simply categorize their products as cosmetic. Herbal supplements fall in the same category and may not claim to have any effect whatsoever. While we are restricted on what we say, you are always free to share your experiences with your friends. How often should I use Calm Ear? We recommend using Calm Ear once in the morning and once at night or as needed. To Moisturize Your Ears: Use 1-3 drops as needed. To Maintain Healthy Ears: Use several drops in your ears nightly before bedtime. Restore Ear Canal Health: For 7-10 days at bedtime, fill your ear canal with Calm Ear and gently block with a wad of tissue to keep the Calm Ear in your ear. After 5-10 minutes discard tissue ad allow remainder to absorb into the ear. If I get Skin Relief and Support or Calm Ear in my eyes, what should I do? Both products have natural formulas and will not hurt your eyes, blurry vision may occur. Flush your eyes out with water and allow the product to absorb.